Mission statements are meant to be more than words on paper, but how to get people to connect to those words over time? In this workshop, participants are facilitated through the process of creating a multimedia presentation that unites words, music and images. The process cultivates a strong sense of ownership and belonging, while the final product provides a touch-point during tough times. Pamela brings a unique mix of expertise, such as creative thinking, personal coaching, musical improvisation and literary acumen, into an immersive, arts-based team-building experience. Regardless of musical background, teams are facilitated through the process of writing lyrics and setting words to music. By the end of the session, teams have created a product that can be performed or even recorded. Both the process and product support team-building, with the final product reflecting the contributions of each individual. 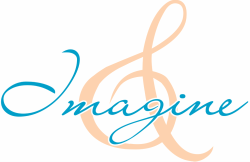 Want a free consultation to see what Imagine & can do for you?